The National Association of Home Builders recently released the fourth-quarter results of the 55+ Housing Market Index, and the findings reveal what Epcon Franchise Builders already know: the demand for 55+ housing is exploding nationwide. The index, which measures the overall housing market on a quarterly basis, states that while homebuilders are experiencing an upswing in the market, there are simply not enough builders available to meet the demand for 55+ communities. According to the index, the demand for single family homes in a 55+ community is not only higher than it was a year prior, but it is the highest it’s been since the NAHB issued the first index in 2008. The index reflects 13 consecutive months of increasing demand for 55+ communities, which coincides with other industry data. According to Metrostudy (a division of Hanley Wood), Baby Boomer buyers will purchase 52 percent of the new homes sold between now and 2019. The demand is so strong that Metrostudy projects that demand for low-maintenance, ranch-style homes will outstrip supply by hundreds of thousands of units nationwide by 2019. In fact, Metrostudy states that the Dallas-Fort Worth market alone will have a shortfall of more than 41,000 homes! The dramatic shortage in desirable housing creates a massive opportunity for Epcon Franchise Builders. The U.S. Census Bureau reports that 76 million Baby Boomers were born from 1946 to 1964, and their retirements will continue driving demand for the next 15 years, with Generation X (b. 1964 to 1982) then driving demand. The U.S. Census Bureau reports there are 76 million Baby Boomers. Our homes are the right fit for that demographic. Epcon Franchise Builders have developed 370 communities in 30 states, with more than 28,000 homes constructed overall. Buyers love our award-winning layouts, impeccably designed spacious floor plans, superior construction materials and finishes and the fact that all of our homes are move-in ready. Buyers can also upgrade and personalize their homes to meet both their needs and their dreams. 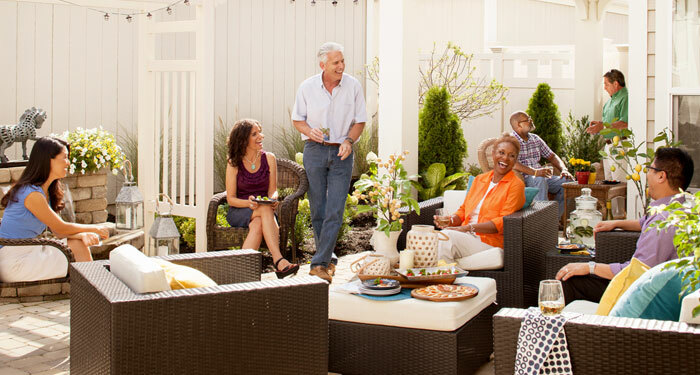 Our developments also entice the active 55+ demographic with a sense of community: clubhouses for fitness and games, beautiful outdoor pools and perfectly manicured lawns. The results of the index reveal that it’s a promising time to become an Epcon Franchise Builder. As a result of the demand for 55+ communities, we have become the nation’s 38th-largest home builder (“2014 Builder 100,”Builder Magazine, May 2015). According to David Crow, NAHB Chief Economist, demand is only going to grow as rising home prices allow seniors to sell their current homes and downsize.